For his Diploma film “JEEVAN” , my Director Baba Majgavkar had chosen as his subject a family of wandering street performers who live a precariously balanced life. For a morsel of bread, they perform on the tight rope, balanced between life and death. And death does strikes one of the family members, But private grief has no place in public life. The show must go on. Since the story was about a family of street acrobats we could not cast any of our acting students for playing the main roles. 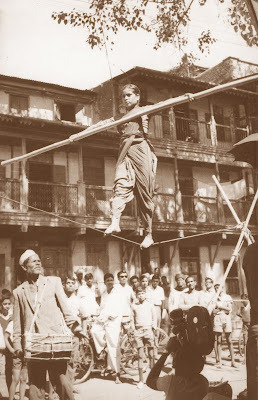 A family of real acrobats, Gangaram, his wife, daughter, and son played the leading roles. 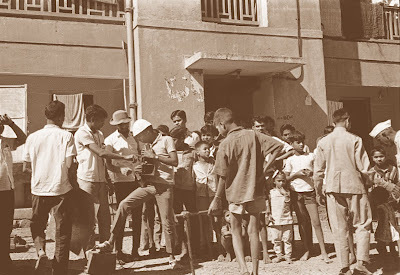 Jagadish Sodhi, Lakhanpal and Jameela Malik completed the supporting cast. Our unit also consisted of Akki Hame Chander doing the sound and M.A.Singh, the Editing. I was assisted my Kasruti Murthy and Ram Agarwal on the camera. 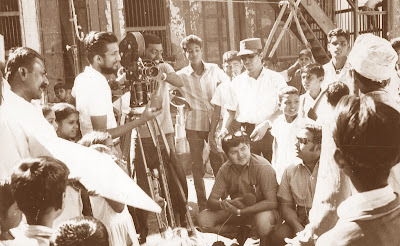 The outdoor shooting was done in a crowded chawl with local people used as onlookers. 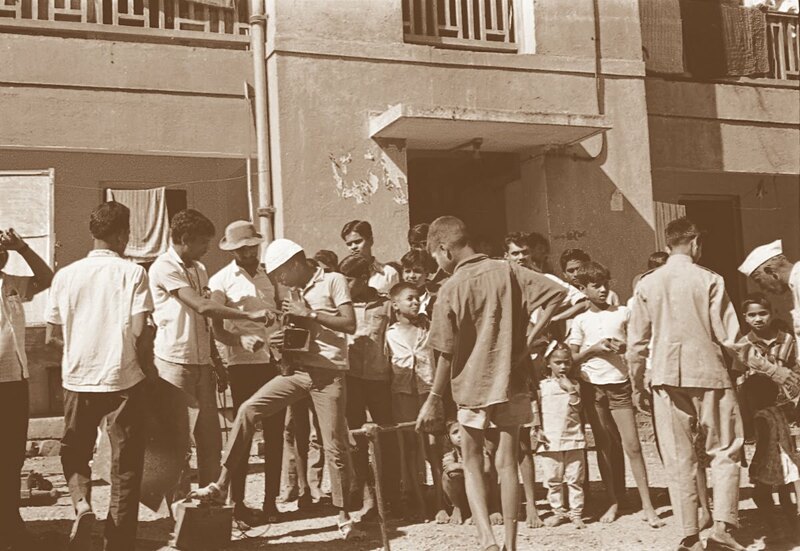 Since Baba was a Maharashtrian he could communicate with them in Marathi and easily got things done. The interior of their hut was erected in the studio with thatched grass, bamboo and other materials. Some time earlier, at the Institute I had watched a screening of the Japanese film SUNA NO ONNA ("Woman of the Dunes" -1964) Directed by Hiroshi Teshigahara and Written by Kobe Abe. I was very much impressed by the stark B&W contrasty photography by Hiroshi Segawa, especially in the Interiors scenes. 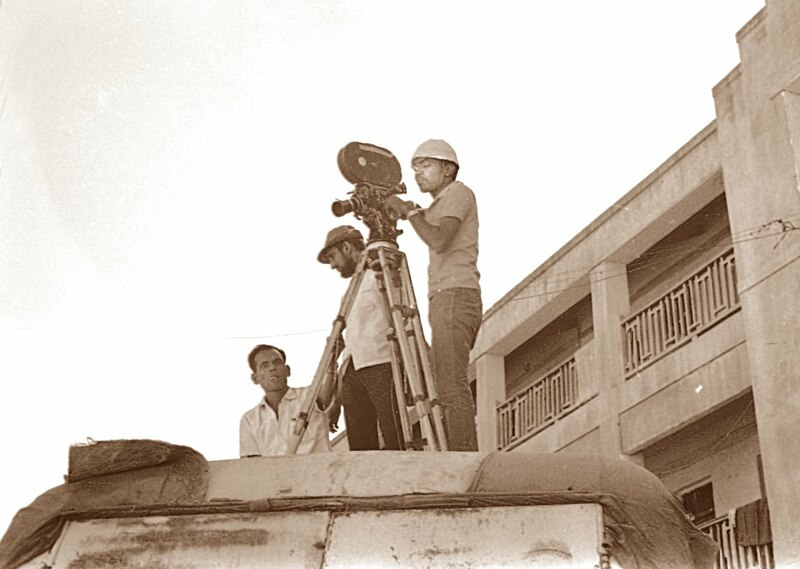 I was highly inspired by the film's cinematography that I wanted to emulate that lighting style in my Diploma film. I wanted the day exterior portions seen through the gaps in the thatched hut and windows to burn and wash out completely with no details against the gloomy dark lit interiors. I asked the Art department to paint the background pure white instead of the normally painted Grey colour. I boosted up the maximum lights on the background to make it so bright, as if it was like shooting in scorching sun. My results turned out excellent, but when the marks came out it was disappointing as the external examiners thought it was shot in real interior locations and not as lighting being done in studio interiors! The film "Woman of the Dunes" still haunted me for a long time, that years later, I wrote a poem which was published in "Youth Times" Magazine 17-24 November, 1977 issue, selected by well known Poet Kamala Das.